“Pulses are truly magic, offering a win-win-win situation for the farmer, the consumer and the planet”, said Professor Chandra Madramootoo, a water and food security specialist who is the Chair of the International Crops Research Institute for the Semi-Arid Tropics (ICRISAT). Professor Madramootoo (pictured) is visiting Australia to meet with Australian officials and researchers. His message, during the 2016 International Year of Pulses, is that farmers and consumers globally would benefit by being more ‘pulse smart’. 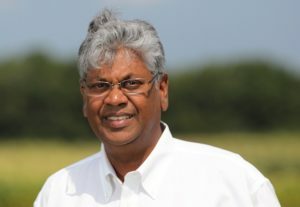 “Pulses are multi-functional crops that are good for nutrition and soil productivity, and are dryland crops that do not need to be irrigated,” said Professor Madramootoo, whose areas of expertise include water management, irrigation, drainage, agricultural research, and international agriculture development. Australia has developed considerable expertise in the production of drought tolerant pulses, with many varieties originating from ICRISAT’s genebank. “The poor of the world have had little choice but to focus their diets on lentils, beans, pigeonpea and chickpea. 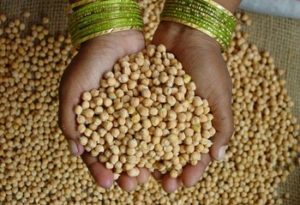 But Australians should be aware that in addition to providing an opportunity to diversify their diets, pulses help address obesity and manage chronic diseases like diabetes and coronary conditions,” said Professor Madramootoo. Pulses, being highly water efficient, grow in drought-prone areas in many parts of Australia. They help improve soil fertility by fixing nitrogen and promoting soil microbial activity. “Pulses also make a positive contribution in reducing the release of greenhouse gases. “They can better withstand climate change, thus reducing risk for the smallholder farmer in developing countries,” he said. The UN declared 2016 as the International Year of Pulses with the aim to heighten public awareness of the nutritional and sustainability benefits of pulses. For more from ICRISAT on the International Year of Pulses, click here. The Crawford Fund assisted with Professor Madramootoo’s visit by arranging a set of media interviews on the International Year of Pulses. You can hear his interview on the national current affairs program, The Wire, here. Other interviews were arranged with The Weekly Times, ABC Rural, National Commercial Rural News and ABC Canberra.